Steven Sherrill is a graduate of UNC Charlotte and holds an MFA in poetry from the Iowa Writers' Workshop. The recipient of a NEA Fellowship for Fiction, he has published four novels and one book of poetry. 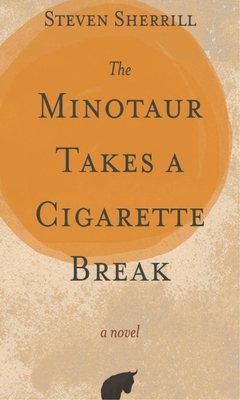 His debut novel, The Minotaur Takes a Cigarette Break, was published in the UK and translated into eight languages. Neil Gaiman selected it as one of six audio books to launch "Neil Gaiman Presents" for Audible.com. A prolific painter and nascent musician, Sherrill is now a professor of English & Integrative Arts at Penn State Altoona.